The artist curator, Julie Seitel, with one of her light pieces. The light pieces by Seitel combine copper pipe, antique fixtures and bare bulbs. Sound and light are activated when approaching the works of Marjorie Minkin. Works by Brian Jewett combine recycled materials. The sculptures of Richard Harrington conflate art and technology. 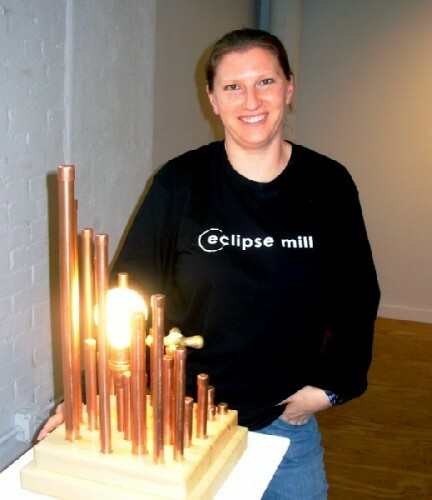 A test run of a project to transform the Eclipse Mill into a sculpture by John Powell. Powell, center, confers with board member, Andrea Barrett and building manager/ artist Larry Kurowski. A gallery piece by Powell. If all goes according to plan, John Powell, a Boston based artist, and participant in the special exhibition "Illuminati" at the Eclipse Mill Gallery, will transform the former factory and current artist building in North Adams into an enormous sculpture. By deploying industrial lights along the cornice of both ends of the building, parallel to Route Two, the structure will be dramatically illuminated during the evening hours. There are timers that will activate the lights as well as shut them off during the daylight. Recently, Powell, who has shown light sculptures internationally, visited North Adams to test his planned installation. There were technical aspects to consider as he worked with the curator, Julie Seitel, a theatrical lighting designer, and Larry Kurowski, an artist and building manager with a background in engineering. A number of resident artists and Board members were on hand to see that Powell was up to. What he had conceived in preliminary planning, and a design he submitted to the curator, was soon modified by field conditions. The play of light down the end of the building facing toward the Mohawk Trail out of town was different than he had anticipated. He had imagined a sharp vertical drop and the actual test run produced a pattern which spread out into an arc. There was an Aha moment as Powell planned to return to Boston and rethink the design in time for the installation with an opening on Friday, July 31. The reception which is planned to run from 6 to 8 pm will end just as the setting sun allows for the full impact of the sculptural design. There is always an if factor in creating such ambitious work. In the event that it is not possible to execute the exterior piece he will be represented by original holograms and recent works using LED technology. In every sense, as the title of the exhibition implies, it will be an illuminating experience. The bold exhibition and its unifying concept promise to be one of the most ambitious and dramatic non museum projects of the summer season. What follows is the press releases for the exhibition. The Eclipse Mill Gallery at 243 Union Street in North Adams, MA will present "Illuminati: Working with Light" from July 31 through August 30. The exhibition, curated by the artist and theatrical lighting designer Julie Seitel, will open with a reception on Friday, July 31 from 6 to 8 PM. The exhibit showcases works that utilize light as a primary medium by artists Richard Harrington, Brian Jewett, Marjorie Minkin, John Powell and Julie Seitel. "Humans have created beautiful and compelling imagery by manipulating light in every era of history," said curator Julie Seitel. "The famous megalithic monument Stonehenge was designed so that during the days around the summer solstice, its stones frame the sun as it rises to create a shaft of light focused on the central altar stone. It's a glorious example of ancient lighting art." 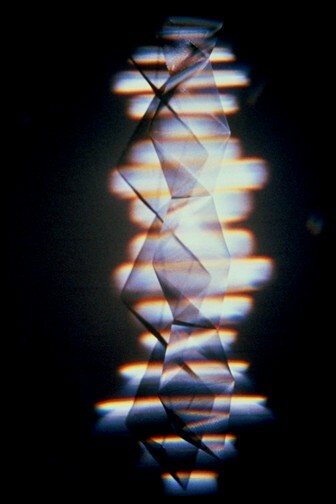 Seitel cites Pablo Picasso's light paintings as a very different and modern example of art made with light. Picasso traced quick sketches in the air with a flashlight while standing in a dark room, resulting in artworks that had a lifespan of only a few seconds. Seitel hit upon the idea for the upcoming exhibition while designing lighting for a theatrical production last fall. For the steampunk-inspired environment of the play Seitel designed and built numerous "practicals," the stagecraft term for a scenic element that emits light, such as a hanging lamp, a neon sign, or a television set. The practicals evolved into a series of freestanding lighting sculptures, and Seitel then decided to develop a gallery show focusing on the theme of light. 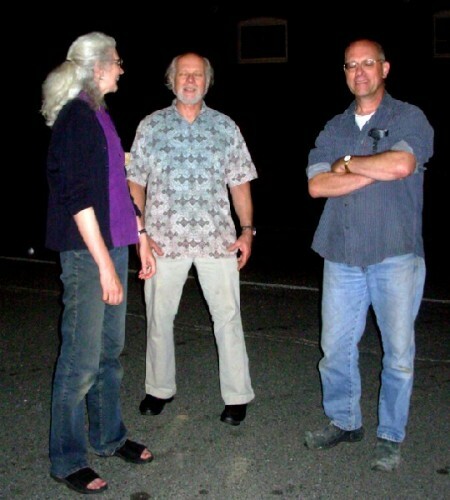 "First I recruited the two other artists at the Eclipse who work with light, Marjorie Minkin and Brian Jewett. A colleague introduced me to Boston artist John Powell, and we began exploring the possibility of an installation to light up the building's exterior. Our Williamstown neighbor Richard Harrington contacted me when he learned the theme of the show, and he became our fifth participant. The five of us hope this exhibition will bring a bright focus to visual artists working with light in the Berkshires." Richard Harrington will exhibit a sculpture consisting of aluminum material folded geometrically and then illuminated with a theatrical lighting fixture to create an intricate pattern of shadow and reflected light. Harrington's lighting sculptures, like his complex digital prints, attempt to perplex the natural human impulse to interpret images as a figure against a ground. "The physical sculpture and its cast shadow are set into a condition of equilibrium that is akin to a military camouflage," Harrington said. "Foreground and background rival each other for attention." Brian Jewett creates art lamps that combine traditional basketry methods with nontraditional materials ordinarily classified as waste and discarded after a single use. Jewett gathers used plastic items such as drinking straws and bottle caps from neighbors and area restaurants, using them to form colorful, intricately patterned lampshades. A work entitled "Got Milk?" 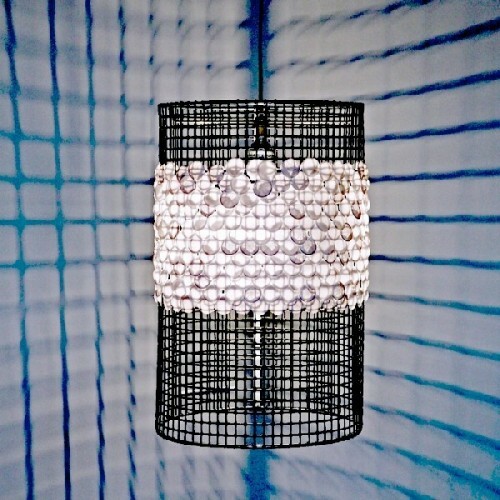 weaves pull-tabs from milk jugs into plastic grid material to form a pattern resembling sequins. The novel use of the pull-tabs disguises their identity until the viewer scrutinizes the work up close. "That's one of the things I go for," said Jewett. "I like to make people see the work twice. They see it all over again once they understand what the materials are." 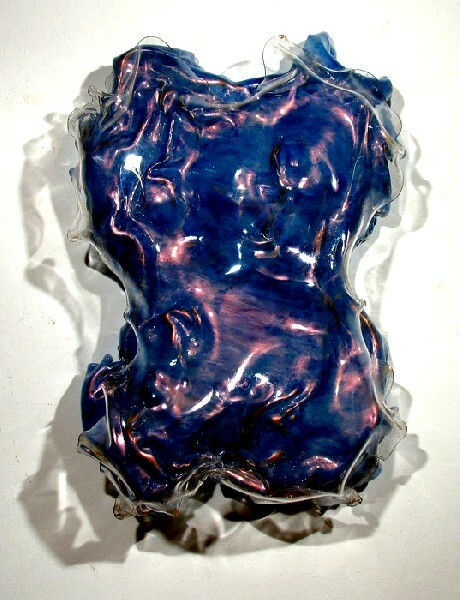 Marjorie Minkin's undulating, torso-like sculptures, which ooze light and sound in volumes and intensities that modulate in response to the viewer's motions, are the current chapter in a long collaboration between Minkin and her son Mike Gordon, the bassist in the popular rock band Phish. "I started doing backdrops for Phish when they were not very well known," Minkin said. "First they were large canvases that hung upstage, and then they evolved into lexan panels." Minkin's work with the band showed her how dynamic music and stage lighting could multiply the vibrancy of her works, and triggered her offstage collaboration with Gordon. "Mike created some bass lines to go with my worksÂ—very ripply, like my lexan pieces," Minkin said. "I created the lexan works while listening to the sounds." The sounds were then embedded in the works, controlled by sensors that could detect and respond to the viewer's motions. The most recent enhancement is the addition of lighting fixtures that vary the intensity of light on the sculptures according to the viewer's proximity. John Powell will mount large industrial fixtures on the edge of the roof to transform the four-story Eclipse Mill, which contains some 40 loft studios occupied by artists, into an enormous site-specific sculpture. The special project will be visible to travelers entering or leaving the city of North Adams in the hours after sunset as they pass through the east end of town. Powell has exhibited large-scale artworks such as this worldwide, and among his many permanent urban installations are the dramatic illumination of several bridges that span the Charles River separating Boston from Cambridge. 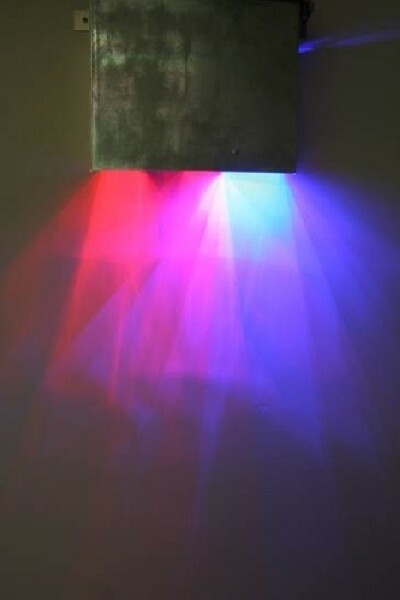 In addition to the exterior lighting sculpture, Powell will present recent works created with LEDs inside the gallery. 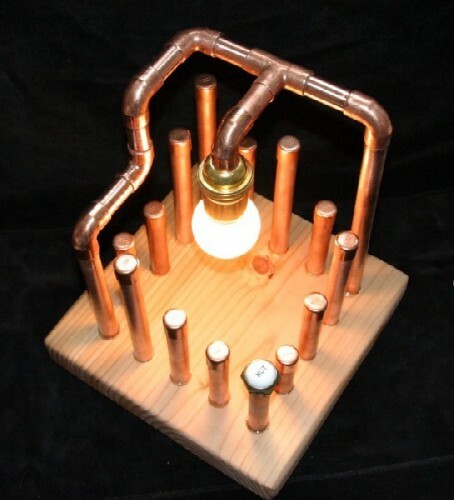 Julie Seitel's quirky practical lighting fixtures, fashioned from copper tubing, scrap lumber, salvaged antique faucet handles and other plumbing hardware, evolved from her designs for the expressionist drama "Machinal" at Williams College last fall. The original lighting fixtures intertwined with a complex scenic environment of vents, pipes, ducts, valves, and gauges that connected in illogical ways. "I became fascinated with the notion that there was some sort of unidentifiable ether coursing through this machine that wasn't quite electricity or water or steam or oxygen, but some kind of hybrid of these," Seitel said. She continued to make fixtures that combined plumbing and electrical elements after the show closed. Many of the lamps use vintage cross-shaped hot and cold faucet handles to control the intensity of the light. 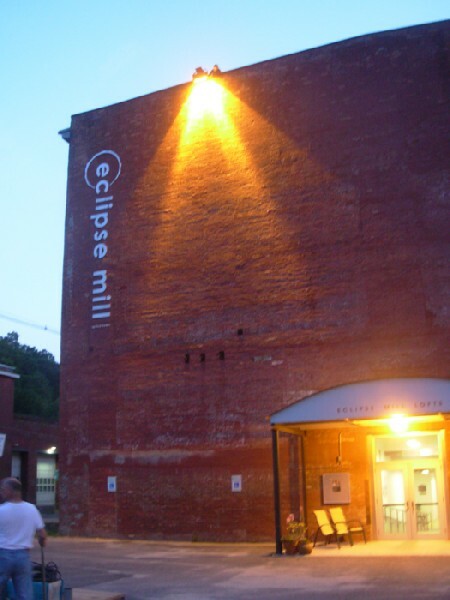 The Eclipse Mill Gallery is at 243 Union Street in North Adams, just a half mile east of MassMoCA on Route 2. The gallery is open to the public on Fridays, Saturdays and Sundays from 12:00 to 5:00 p.m. and by appointment. Additional information may be found at www.eclipsemillgallery.com. The artist-run Eclipse Mill Gallery features works by residents of the Eclipse Mill as well as other area and regional artists. The gallery is on the first floor of the Eclipse Mill Artist Lofts building, a former textile factory renovated in 2002-2005 to provide live/work spaces for artists in 40 lofts on four floors. The Eclipse community includes painters, writers, photographers, sculptors, illustrators, filmmakers, potters, weavers, musicians, and designers. Also located within the mill are River Hill Pottery, Brill Gallery, and G.J. Askins Bookseller. The building is fully handicap accessible. The Eclipse Mill Gallery, River Hill Pottery, Brill Gallery, and G.J. Askins Bookseller are participating along with more than 30 other galleries in the citywide DownStreet Art project. Now in its second season, the ambitious project brings a multitude of exhibits and art experiences to downtown North Adams, including a number of temporary galleries that will be staffed through Open Studios Weekend in October. A map detailing locations of participating galleries and a calendar of events may be found at www.downstreetart.org. "Thank you for such a good description of my interactive works. I just want to mention that the new installation with the lights has a third collaborator, Jamie Robertson. Jamie is a musician, technologist, engineer and physicist who worked for over 10 years as director of research and development for Disney's Imagineering in CA where he designed interactive exhibits. Jamie has worked with many individual artists and has designed and executed projects for museums. We consider ourselves very lucky to have him as a collaborator. He created new wireless technology for the sound and lights for these pieces. He will be helping to set up our pieces for the exhibit, Illuminati, and will be at the opening. "